In order for your HSA account to open and receive funds, you must accept your account’s Terms & Conditions. You will need to complete the read and agree portion on a PC or Mac computer. 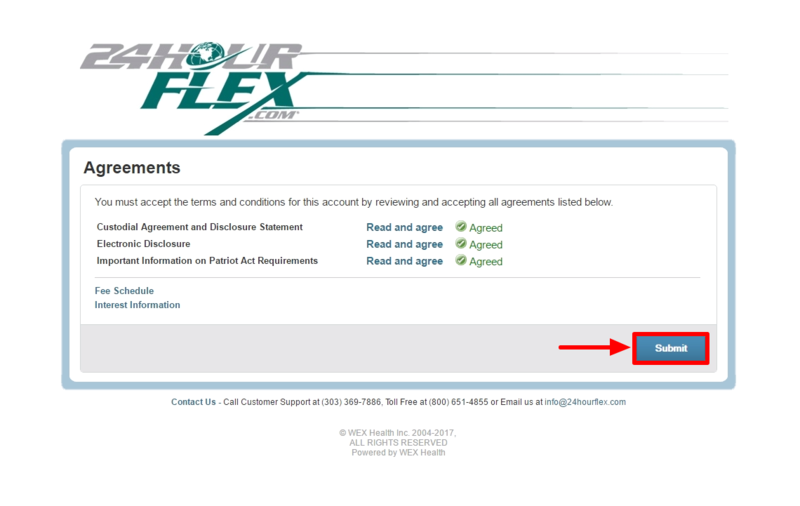 You will not be able to accept your Terms & Conditions in the 24HourFlex Mobile App or on a tablet or iPad. 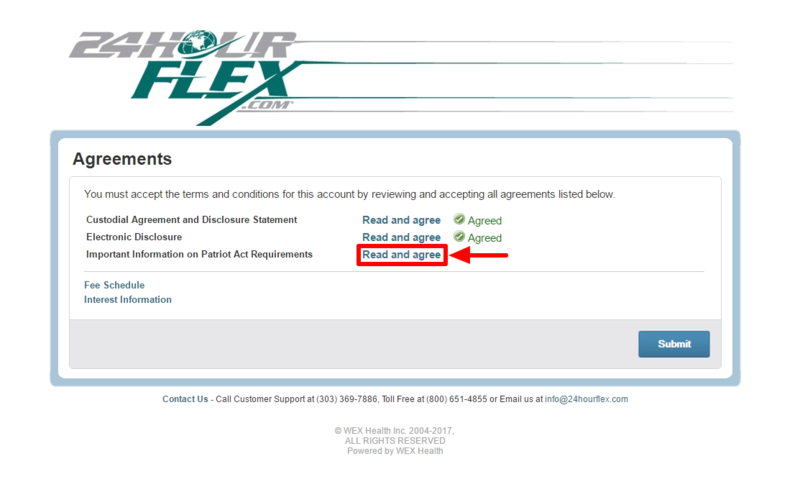 1) After you log into your Consumer Portal for the first time at participant.24hourflex.com, you will be brought to the AGREEMENTS page. If your terms and conditions have already been agreed to, then you will be taken directly to your account. Click on the first READ AND AGREE link to proceed. 2) You are required to view the entire document. Checking the box means that you have read and agree to the Custodial Agreement. 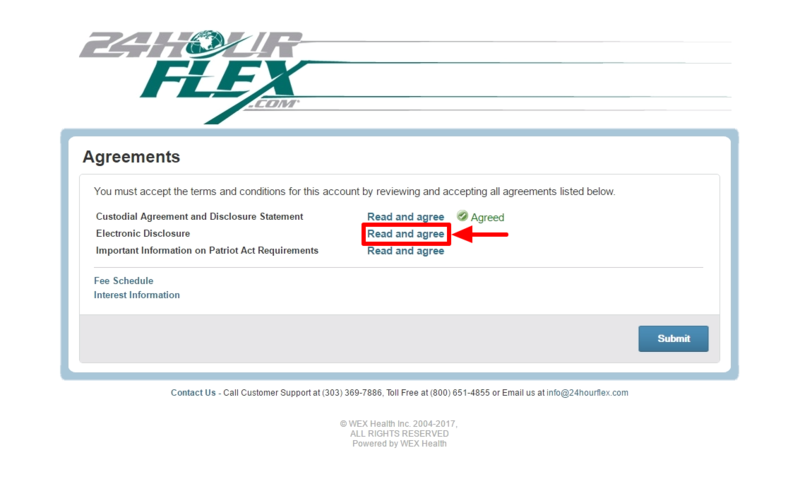 Once checked, you will automatically return to the AGREEMENTS page. 3) Once the first agreement is completed, you will see a green confirmation to the right of the link. Continue by selecting the next READ AND AGREE link. 4) Scroll through the entire document and select the check box to continue. 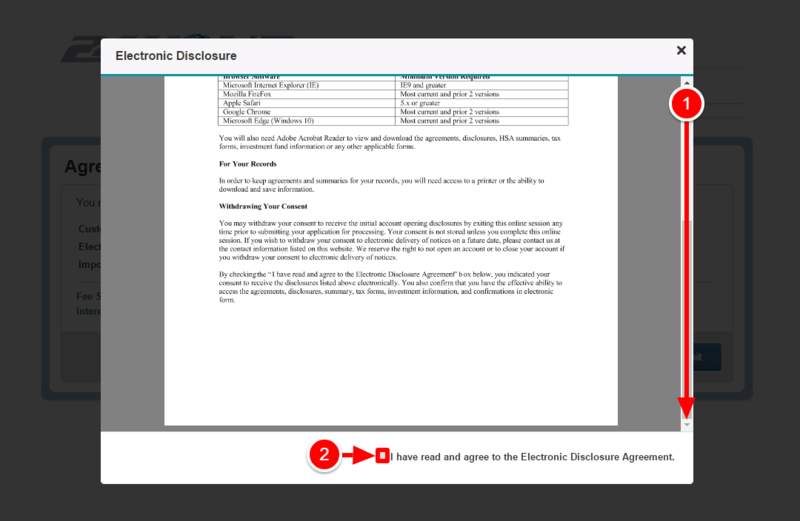 Checking the box means that you have read and agree to the Electronic Disclosure Agreement. 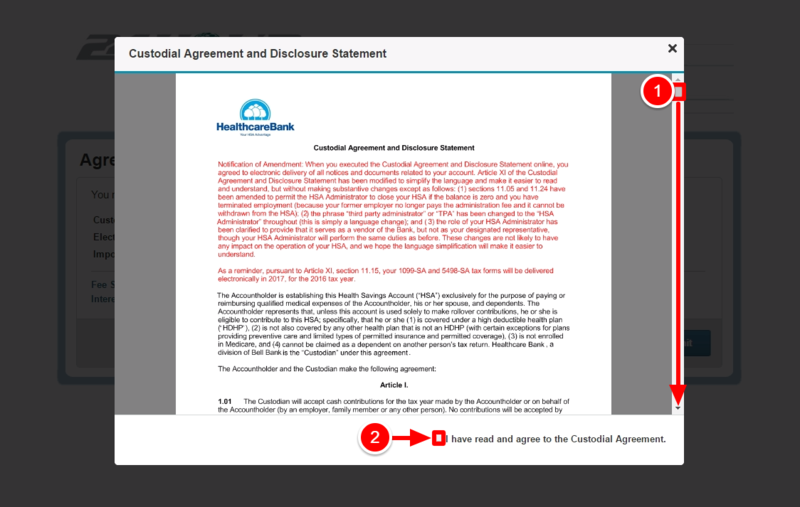 Once completed, you will automatically be directed back to the AGREEMENTS page. 5) Select the third and final READ AND AGREE link to continue. 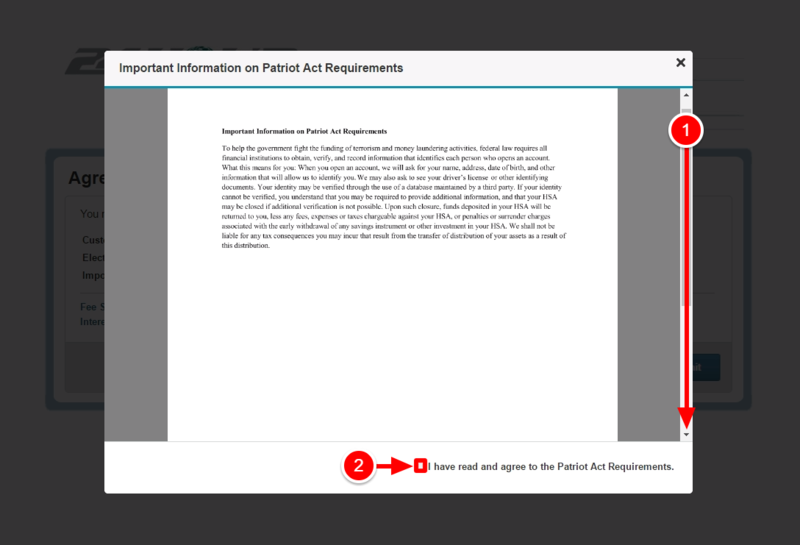 6) The final document is short, but you still have to scroll through the entire document before checking the box. Checking the box means you have read and agree to the Patriot Act Requirements. Once completed, you will be directed back the AGREEMENTS page. 7) With a confirmation next to each READ AND AGREE link, you will select the SUBMIT button to finalize. Upon completion, you will automatically enter your Consumer Portal, and your HSA will now be able to accept funds. 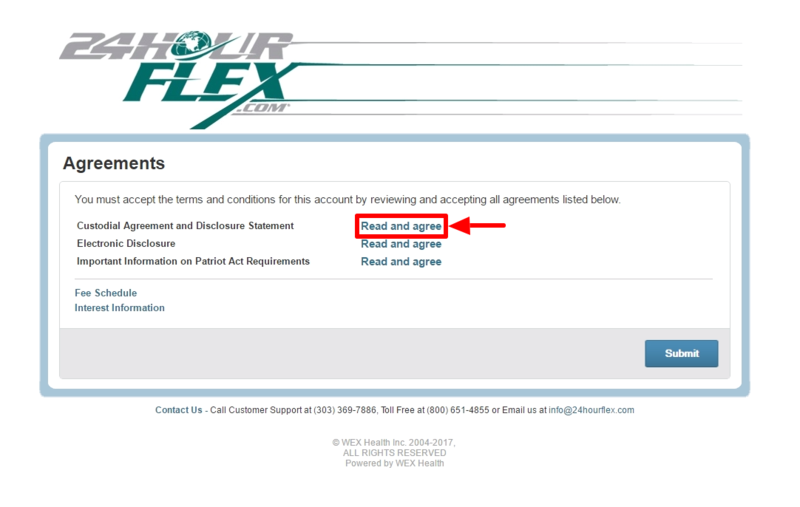 24HourFlex Training Sessions Submitting Receipts vs Filing Claims: What’s the Difference?